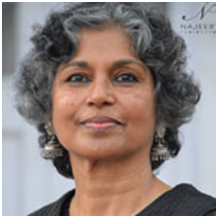 Mehru Jaffer is a Lucknow born author and journalist. She has taught Islam related topics at the University of Vienna, Austria and at the Vienna American Webster University. She is the author of The Book of Muhammad, The Book of Muinuddin Chishti and The Book of Nizamuddin Aulia, all published by Penguin India. This Missing Voter App Can Find You! Traumatised By a Silly, Vain Man? No Way!